On your worst days the world can seem massive and discouraging, but don't let this stop you from discovering the beauty in the small things — a good cup of coffee, starry nights, random acts of kindness, feeling loved. Appreciate the little things — believe in them. When you look back you will realize it was the small moments that made you feel alive. A small but beautiful gemstone charm is hung elegantly on a dainty brass chain. 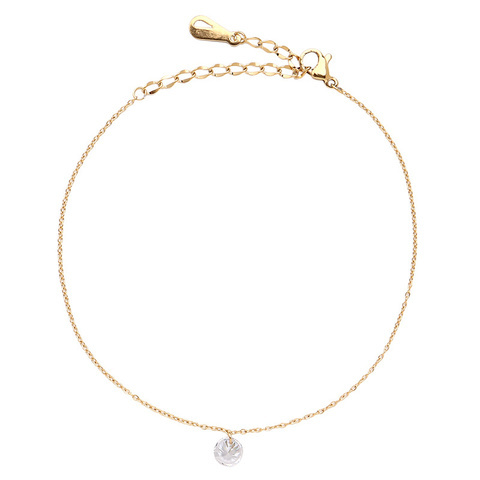 Wear this anklet as a reminder to appreciate the small things, they are more important than you think.